The theater company features middle and high school students. LAUREL: From Nancy and George Schuler. To Joey Steinhagen, Ross Mizrahi, Todd Peterson, all the staff and mostly to the teens from all over the county who did the singing, dancing, acting and musical and technical work in Running to Places Productions' first production. 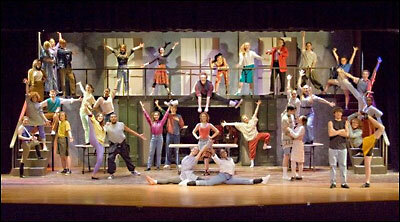 Their performance of �FAME, The Musical� these past two weekends was superb. The amount of time, energy and skill put into this endeavor really paid off in providing the community with a thoroughly professional, highly enjoyable musical. We are looking forward to more great performances by this community theater company for middle and high school students.